2:23:13 On March 23rd I ended up 3rd fast out of 19 cars. My confidence was high.... Click here for full story. 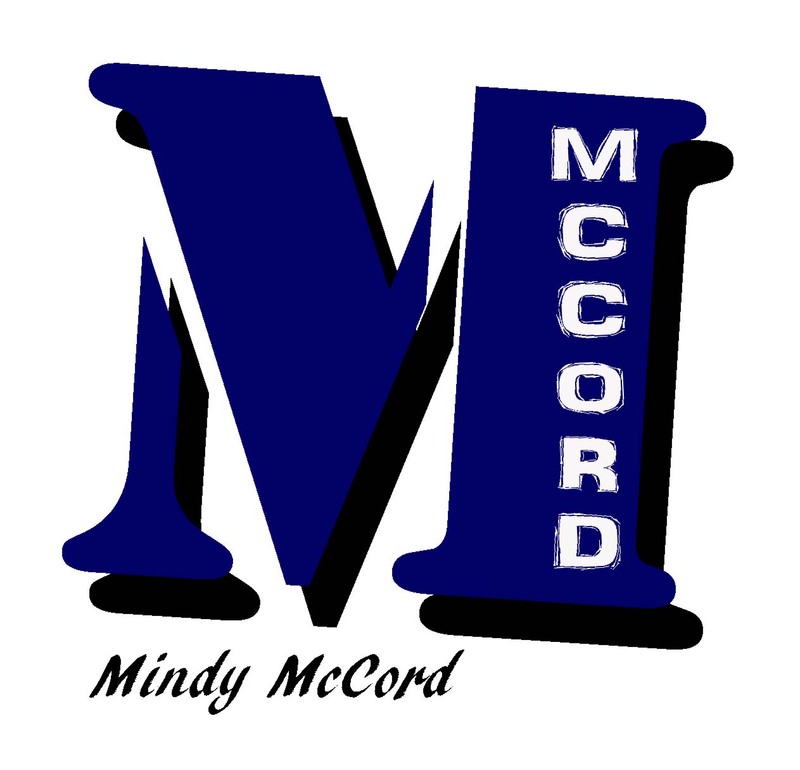 Mindy is currently racing full time in the NASCAR Late Model division for Naake-Klauer Motorsports. 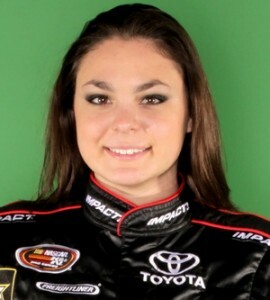 Jessica is currenlty racing a part time NASCAR K&N Pro Series West schedule with Naake-Klauer Motorsports. Tom Klauer Motorsports is a newly formed LLC owned by Klauer’s, Inc. The vision and the efforts to launch this website began in the 1970’s with partnerships and sponsorships within the motorsports industry promoting drivers and businesses. In the 70’s this was accomplished through sponsorship efforts at the San Jose Speedway. Well known drivers of that era such as the Kaeding family, Nick Rescino, Ed Sands, Jr. and others were recipients of sponsorships promoting the then operating Klauer’s Auto and Truck Recycling. Those efforts remained steadfast through the late 1980’s. In the early 1990’s Klauer’s, Inc. (Klauer’s Auto and Truck Recycling) transformed and merged into the Pick-n-Pull partnership chain we know today. Throughout its history, Klauer’s, Inc. bought and sold various high performance cars and used those to promote its core businesses, as well as, a separate business arm, TK Wholesale, a licensed California automotive dealer. From the late 1990’s through the early years of the new millennium, Klauer’s, Inc. focus became slanted toward NASCAR. The demographics of NASCAR and Pick-n-Pull were a direct fit. Gathering NASCAR inventory became a goal in that the stock cars would be utilized in the promotion of the Pick-n-Pull businesses through strategic sales and marketing campaigns and general brand awareness. In 2006 and 2007 the cars were used to support the San Jose Grand Prix and its promotions. In addition, a secondary effort existed in the collection of the stock cars to buy, restore and sell. 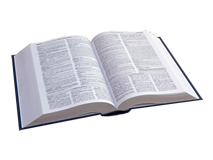 All of the efforts to purchase, restore and promote have led to the creation of this website. The vision remains consistent today with decades of commitment, however, has grown to include Driver Development. 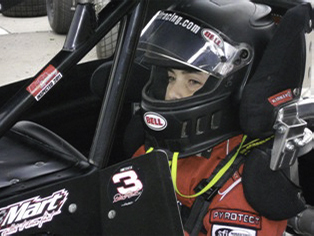 The program began in the 2009 with two young drivers, Bobby Grewol and Tony Gualda. In 2010, Tom Klauer Motorsports (TKM) was formed to begin its formal entry into the K & N Pro Series. Sponsorship of Schnitzer Steel, Cascade Steel and Pick-n-Pull were aligned to sponsor the #25 race team. 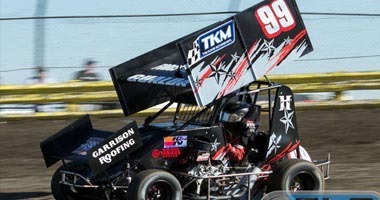 After great success in TKM’s debut, two K & N cars were purchased in December of 2010 for the upcoming 2011 season. 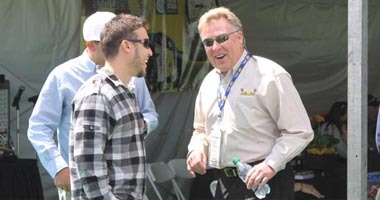 In 2011 TKM became a licensed team owner in the K & N Pro Series. Sponsorship has been secured and the team has two corporate race events scheduled in 2011, the Thunder Valley Casino Resort 200 at Infineon Raceway in June and the Bi-Mart Salute to the Troops 125 at Portland International Raceway in July. There is now a full-time team in place led by crew chief, Mike Naake and Car Chief, Harold Kunsman. The efforts of this TKM race team are also supported by this new website. TKM offers you the ability to own a piece of automotive and racing history through our Cars for Sale listings. The future vision of TKM is to continue expanding the Driver Development program and to move up the ranks in team ownership standings in the Nationwide or Sprint Cup Series.